Our collection of stainless steel cutlery are suitable for use in a wide range of environments including cafes, restaurants and even at home. 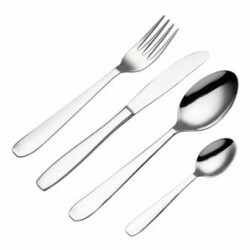 Ensure you have a full set of high quality cutlery and crockery from our stock, sold in packs of 12. Low cost, high value products from System Hygiene are available here.